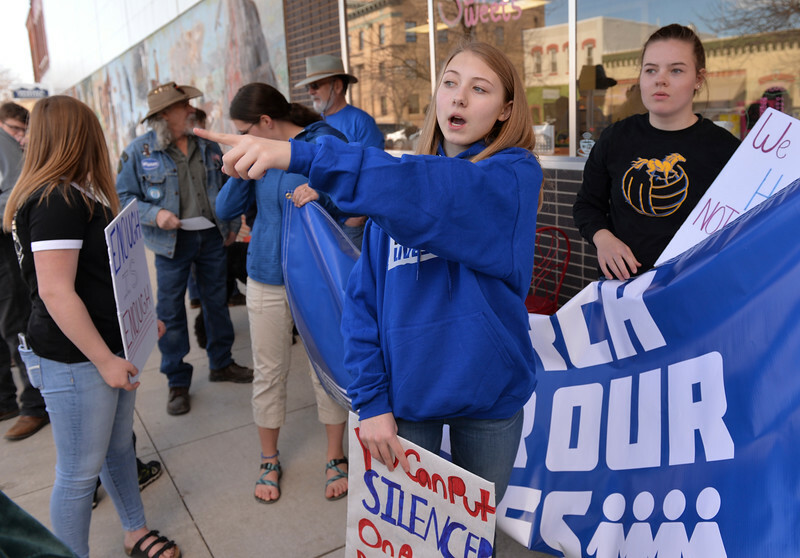 Middle school student Grace Harper, center, points across the way as student gather the banner to lead march during The March for Our Lives protest on Main Street in Sheridan Saturday, March 24, 2018. 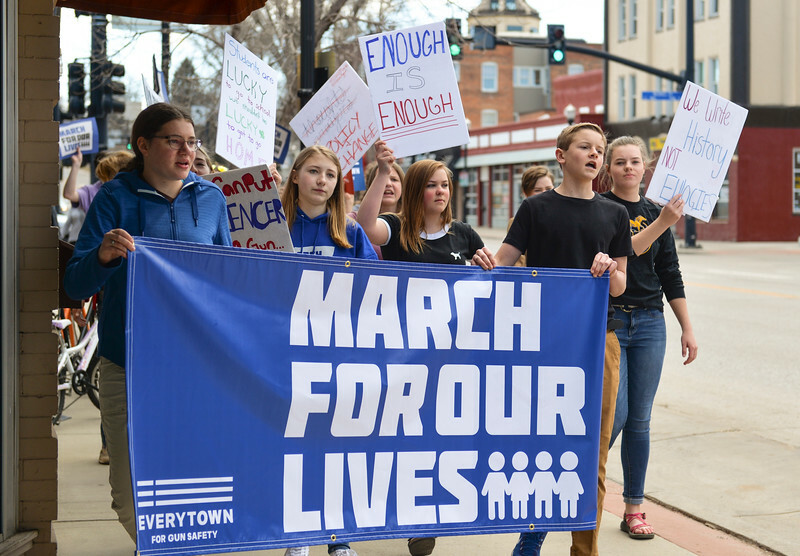 Sheridan area students and community members participated in the march in solidarity with the rally in Washington, D.C.
Middle school students lead the march during The March for Our Lives demonstration on Main Street in Sheridan Saturday, March 24, 2018. 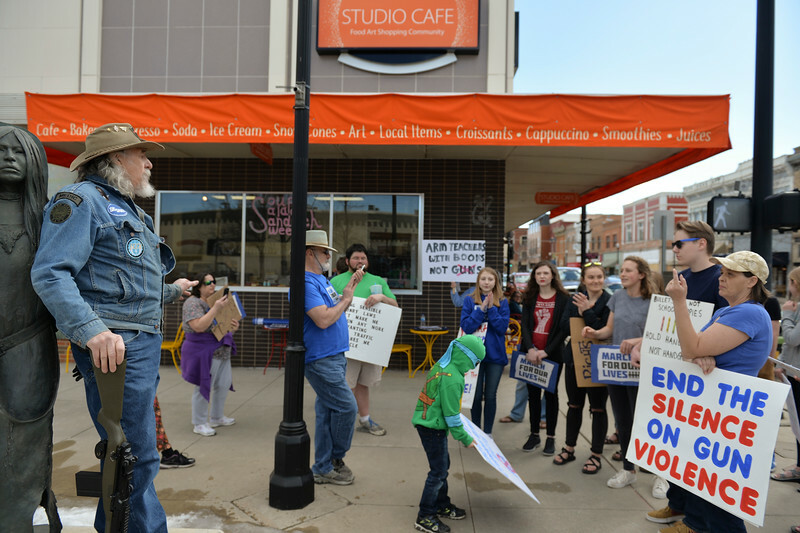 Sheridan area students and community members participated in the march in solidarity with the rally in Washington, D.C.
Maggie Pierce chants, “Don’t be silent, end the gun violence” during The March for Our Lives demonstration on Main Street in Sheridan Saturday, March 24, 2018. 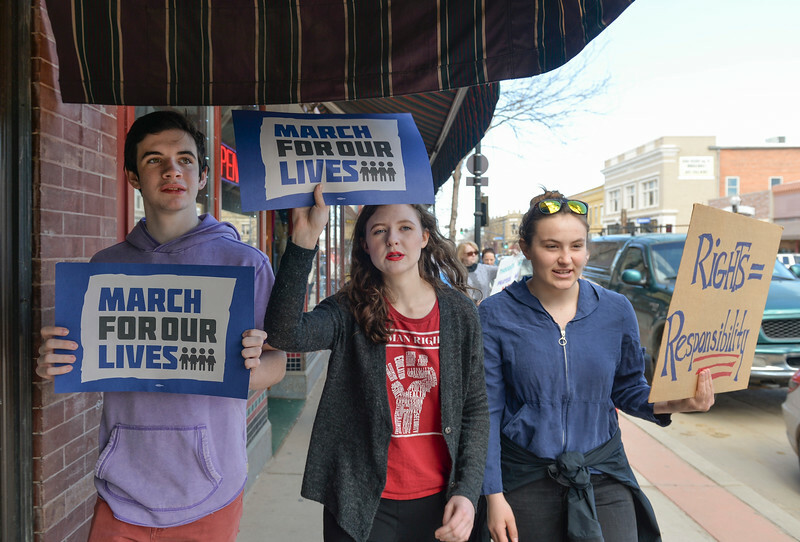 Sheridan area students and community members participated in the march in solidarity with the rally in Washington, D.C.
From left, Jack McTiernan, Rachel Jahiel and Sky Stanton chant “Don’t be silent, end the gun violence” during The March for Our Lives demonstration on Main Street in Sheridan Saturday, March 24, 2018. 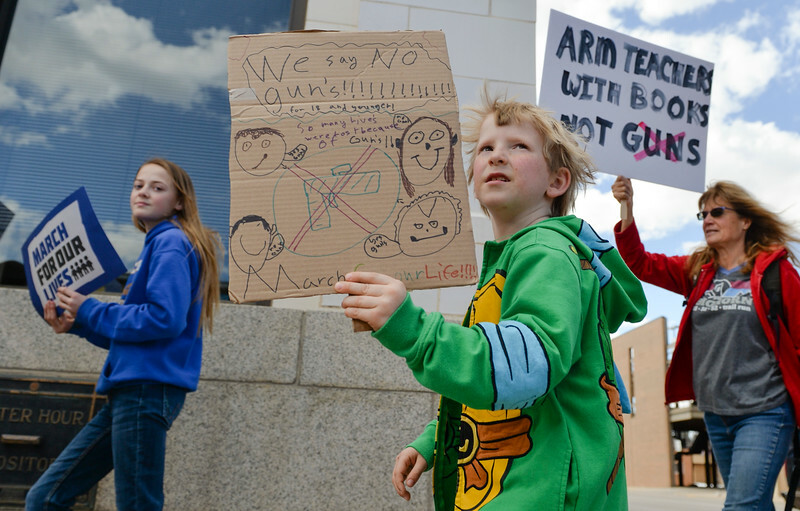 Sheridan area students and community members participated in the march in solidarity with the rally in Washington, D.C.
Seven-year-old Riley Cody marches with his sign during The March for Our Lives demonstration on Main Street in Sheridan Saturday, March 24, 2018. 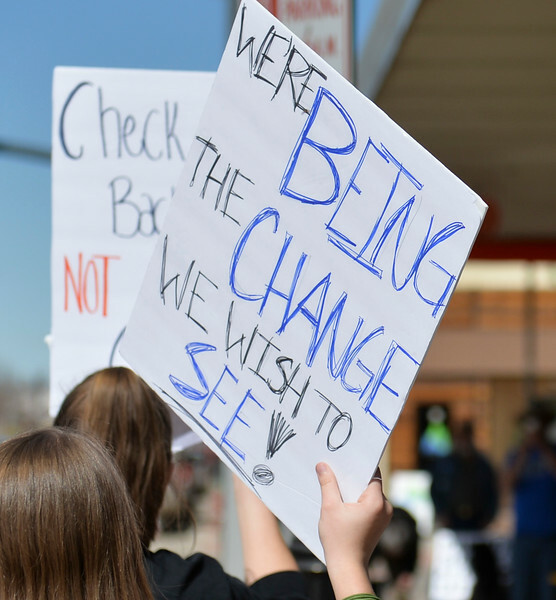 Sheridan area students and community members participated in the march in solidarity with the rally in Washington, D.C. 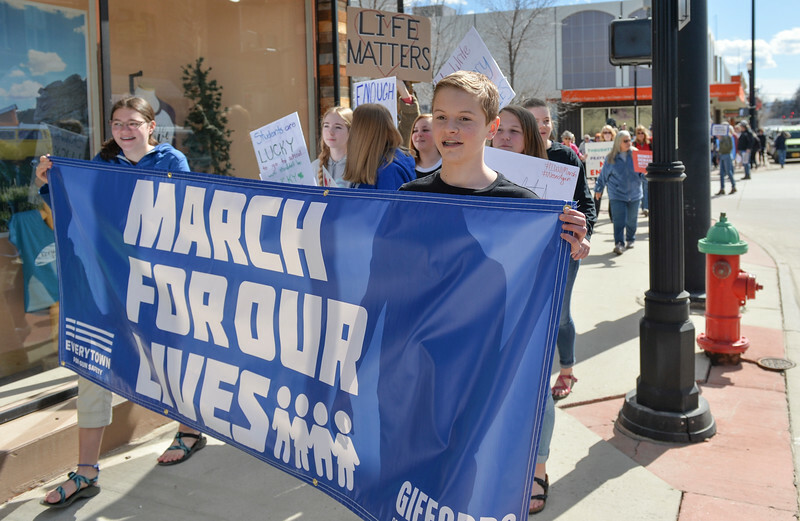 Marches cross Main Street and Works during The March for Our Lives demonstration on Main Street in Sheridan Saturday, March 24, 2018. Sheridan area students and community members participated in the march in solidarity with the rally in Washington, D.C. 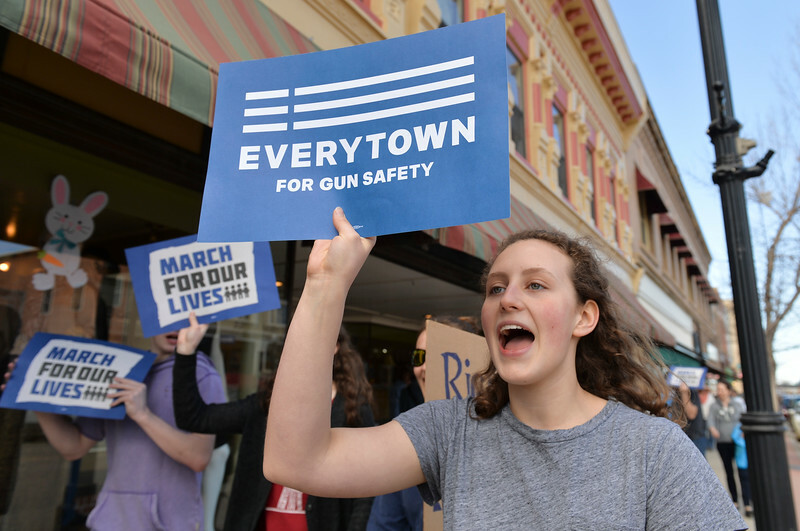 Marches chant during The March for Our Lives demonstration on Main Street in Sheridan Saturday, March 24, 2018. Sheridan area students and community members participated in the march in solidarity with the rally in Washington, D.C. 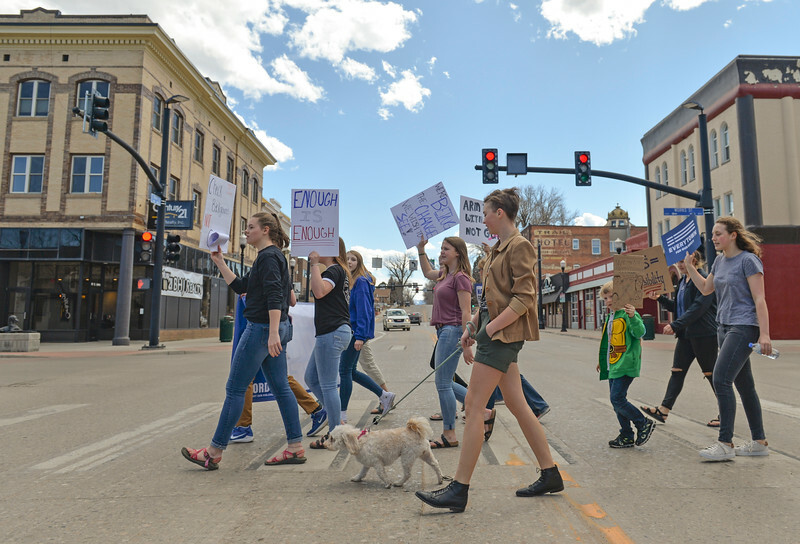 Marches walk along the sidewalk during The March for Our Lives demonstration on Main Street in Sheridan Saturday, March 24, 2018. 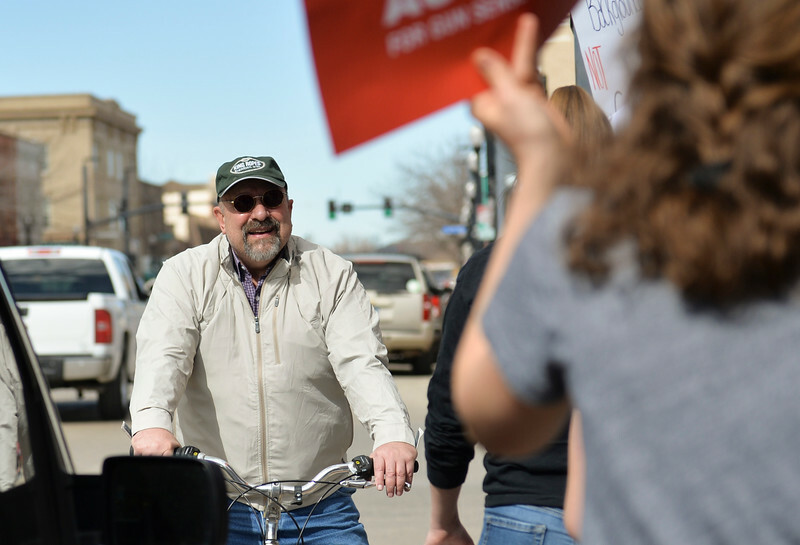 Sheridan area students and community members participated in the march in solidarity with the rally in Washington, D.C.
Sen. Bruce Burns, R-Sheridan, looks on as marchers walk by during The March for Our Lives demonstration on Main Street in Sheridan Saturday, March 24, 2018. 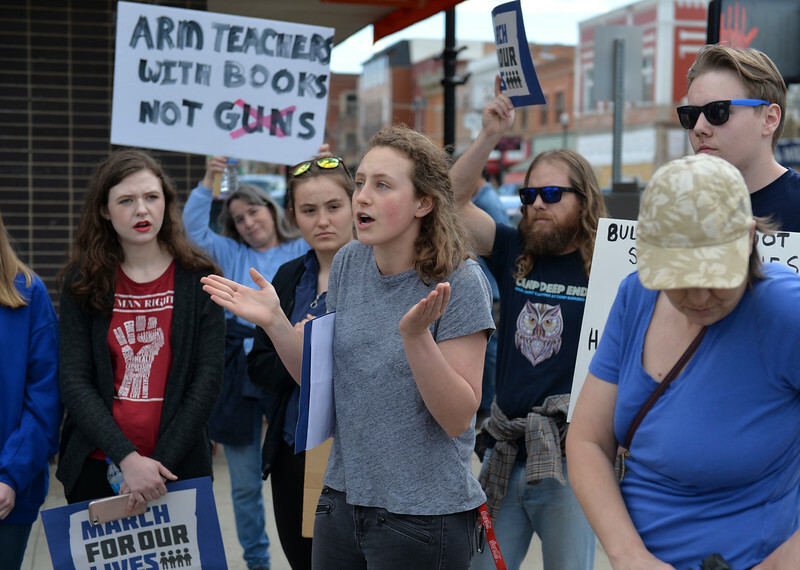 Sheridan area students and community members participated in the march in solidarity with the rally in Washington, D.C.
Sheridan resident David Kuzara holds a BB gun styled as an M1 rifle during The March for Our Lives demonstration on Main Street in Sheridan Saturday, March 24, 2018. Kuzara argued with the marchers on gun control legislation. 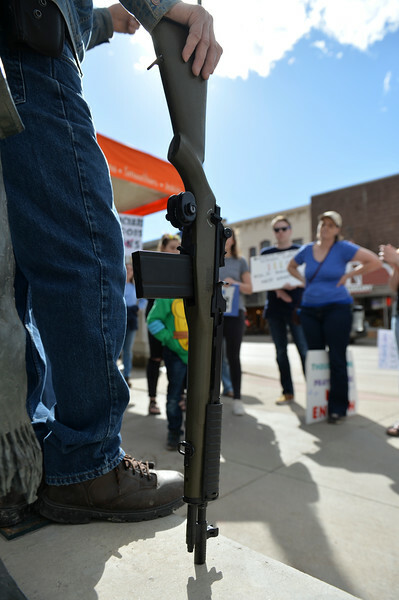 Sheridan resident David Kuzara, left, argues with the marchers while holding a BB gun styled as an M1 rifle during The March for Our Lives demonstration on Main Street in Sheridan Saturday, March 24, 2018. Kuzara argued with the marchers on gun control legislation. Sheridan High School senior Maggie Pierce, center, responds to David Kuzara during The March for Our Lives demonstration on Main Street in Sheridan Saturday, March 24, 2018. Kuzara argued with the marchers on gun control legislation. 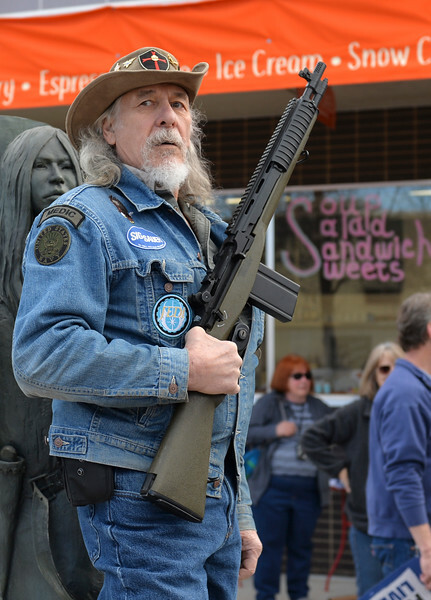 David Kuzara leans on his BB gun styled as an M1 rifle during The March for Our Lives demonstration on Main Street in Sheridan Saturday, March 24, 2018. Kuzara argued with the marchers on gun control legislation.